This Pack includes a Soap Opera Shampoo and Conditioner. 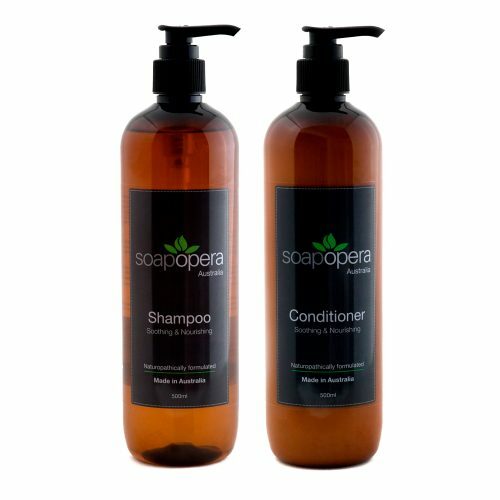 Our Shampoos and Conditioners are made from 100% plant derived ingredients; free of sodium lauryl sulphate, parabens,petroleum bases and synthetic fragrances. 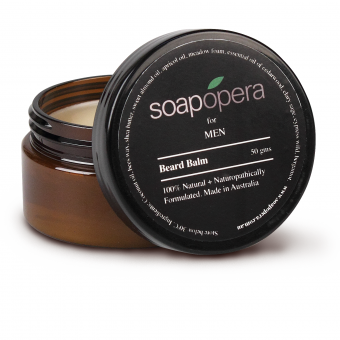 Moisturising to the hair and soothing to the scalp. 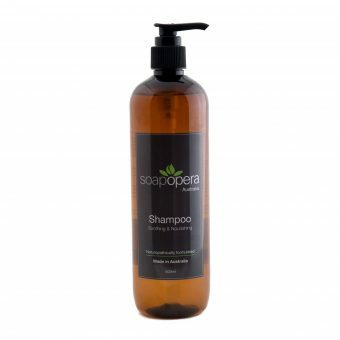 Apply a generous amount of Shampoo to wet hair and gently massage into a rich lather from scalp to ends. 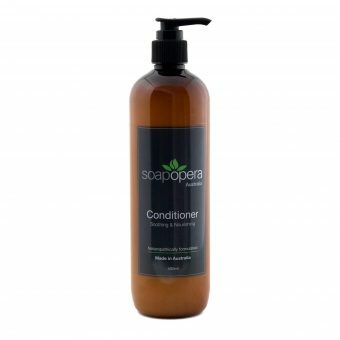 Rinse with warm water and repeat with Conditioner. For external use only, avoid contact with eyes. Discontinue use if irritation occurs.